woo, two days in a row! that's a miracle here lately :) i'm still firmly stuck in my seat on the struggle bus... still not seeing where my stop is... but i do have some glimmers of hope :) for all of you out there struggling, too... my prayers are with you! i know this is temporary, and we will all get through it!! 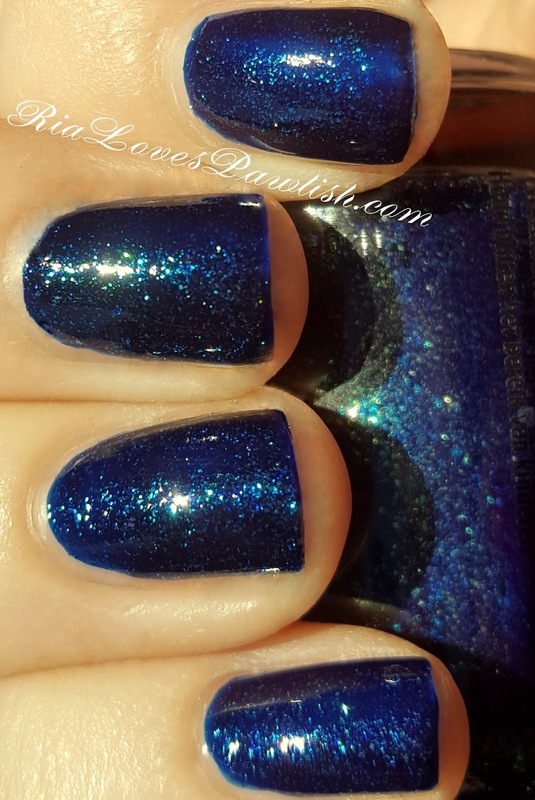 today we have finally come to the end of the China Glaze Rebel collection with Blue-Ya (press sample, kindly provided to for review) which is my fave of the entire collection! it's a blue shimmer that has a lot of teal tones with some gold shimmers, and it all just sparkles like crazy. no photo will do this baby justice... if you love blues like me, this one's for you! so easy to apply, two coats for full, delicious opacity. i'm probably going to put this back on my nails for my next mani! well... on one hand, i do love having two different colors. unless i for French tips! options :D seal this beauty in with topcoat to bring out the sparkle as it wants to dry down a little dull. as a true 90s kid, i will miss getting all these fun names... BOOYA! two coats Blue-Ya, finished off with one coat FingerPaints Fast Dry Top Coat.